Currently we have 13 TIG welding sets, 5 spot welding sets and 3 MIG welding sets giving us 5500 hours of welding capacity per month. We weld metals from foils to 20 mm thick plates in mild steel, stainless steel and aluminium. We also weld more exotic materials such as titanium and have had impressive results on recent projects TIG welding brass. 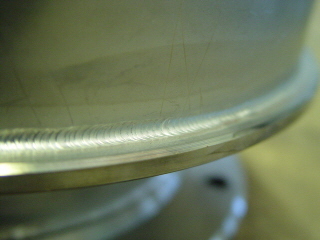 PEM Sheet metal is currently evaluating robotic TIG welding, Laser and Ion Beam welding techniques.